Seulgi Byun (PhD, University of Cambridge) is chair of the biblical and religious studies and philosophy department at Grove City College where he teaches Hebrew and the Old Testament. He previously taught at Oak Hill College. Seulgi has contributed to the NIV Proclamation Bible and the Septuagint translation of Isaiah. He is currently working on a book called Trusting the Old Testament (forthcoming, Christian Focus). For a short introduction to the Septuagint, see Ryan M. Reeves and Charles Hill, KNOW How We Got Our Bibles (Zondervan, 2018). WHY SHOULD CHRISTIANS CARE ABOUT THE SEPTUAGINT? 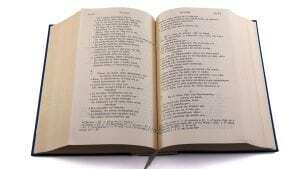 The Septuagint is quite possibly the most important translation of the Bible. It is the oldest translation of the OT into another language. It was considered by Philo and Josephus to be on an equal footing with the Hebrew Bible. It was preferred to the Hebrew by the Early Christian Church. And it sheds much-needed light on the development of the New Testament. Still, many Christians today have little to no knowledge of it. The term Septuagint is often thought of as the Greek version (or translation) of the Hebrew Bible, much like the Vulgate is the Latin version or the Peshitta is the Syriac version. But, technically speaking, there is no such thing as “the Septuagint.” If you own a modern copy of the Septuagint (e.g., Rahlfs or Brenton editions), it is an “eclectic” edition, that is, a collection of the best and most reliable Greek manuscripts reconstructed to approximate the original translation of the Old Testament from Hebrew to Greek. So, when scholars use this term, it does not refer to a single text. Rather, it refers to a collection of Greek translations produced by numerous scribes over the course of a few hundred years and, in all likelihood, composed in different locations. Today, the term is usually used to refer generally to the various Greek translations of the Hebrew Bible, as well as some additional books, such as Tobit, Maccabees, and Sirach, to name a few. Though somewhat legendary in character, the Letter of Aristeas (second-century BCE) preserves some valuable information on the origins of the Septuagint. It tells us that an Egyptian king, Ptolemy Philadelphus (reigned from 285-246 BCE), commissioned a translation of the Hebrew Bible for his library in Alexandria. Seventy-two translators from Jerusalem were subsequently sent to the Island of Pharos to translate the Torah into Greek. The term Septuagint, meaning “seventy,” actually refers to the seventy-two translators—six from each tribe of Israel—involved in translating the Pentateuch from Hebrew to Greek in the third-century BCE (seventy-two is rounded down to seventy, hence the Roman numeral LXX). The rest of the Hebrew Bible was translated from Hebrew to Greek by various hands over the next century or so. 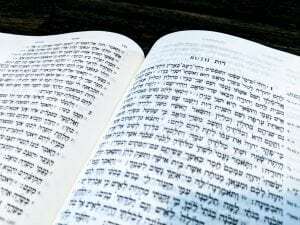 Why the need for a Greek translation of the Old Testament? Hebrew ceased to be a spoken language as early as the exilic or post-exilic period (cf. Neh 13.24), and Aramaic became the lingua franca of the Jewish people. With the rise of Alexander the Great and the Greek empires, the Jews in the diaspora were Hellenized, and for some Jews, especially those living in Ptolemaic Egypt, Greek became the primary language. Thus, it became necessary for the Scriptures to be translated into Greek. It is important, therefore, to remember that the Septuagint is first and foremost a translation. One of the key areas of study for Septuagint scholars today is the method(s) of translation adopted by scribes. For example, did the translator of a given Old Testament book take a more literal approach or an approach closer to dynamic equivalence? Scholars agree that some books are literal translations and others are paraphrases, much like the Living Bible. 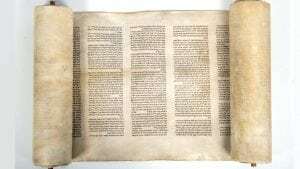 Given that Greek manuscripts are the earliest witnesses to the Hebrew Old Testament, a more literal manuscript can be helpful for textual criticism. The non-literal translations, however, may shed light on the theology, philosophy, or religious practices of the Jewish faith in the late Second Temple period. A Greek scholar once remarked, “A single hour lovingly devoted to the text of the Septuagint will further our exegetical knowledge of the Pauline Epistles more than a whole day spent over a commentary.” The hyperbole notwithstanding, few would dispute the broader point: the Septuagint is an invaluable resource for Christians interested in the New Testament (NT). There are some obvious ways in which the Septuagint has influenced the New Testament. For example, the title for Jesus in the NT, “Christ” [Christos], is the Greek translation of the Hebrew word maschiach, “Anointed One,” in the Septuagint. Words we are all familiar with, such as “glory” [doxa], “Lord” [kurios], and “gospel” [euangelion], derive special meaning from the LXX. One of the most important areas of study relating to the Septuagint is the use of the OT in the NT. The reason for this is that most of the direct citations of the OT in the NT match the Septuagint, not the Hebrew Bible (or Masoretic Text [MT]). There are approximately 300 OT passages that are directly quoted or strongly alluded to in the NT. In most of these cases, the NT writers did not cite the OT text word-for-word but paraphrased the OT texts using Jewish exegetical techniques. However, in cases where the OT is cited word-for-word, the NT writers quote the Septuagint over the MT approximately 75 percent of the time (according to some scholars, that percentage climbs to over 90 percent, depending on how one defines “citation”). This raises several important questions. Did the NT authors cite the Septuagint to make a particular theological point that could only be made from the Greek translation? Or is the apparent preference of the Septuagint simply a matter of using the translation of the OT that corresponds to the language in which the biblical author was writing? This would be like how modern preachers cite the ESV or NIV translation in a sermon, irrespective of the translational nuances and exegetical differences. Matthew cites the Septuagint (not the Hebrew) word for word, which suggests that the language of the virgin birth of Jesus is derived, in part, from the Septuagint. Of course, each text must be studied independently and carefully, but the preponderance of Septuagint citations in the NT and key theological terms demand that we take the Septuagint seriously. The Septuagint also sheds light on the theology and worship practices of the Jewish people in the Second Temple period (the period leading up to New Testament times). For example, in the Septuagint version of the Pentateuch, the Hebrew word for altar [mizbeah] is rendered by thysiasterion when referring to the Jewish altar but by bomos when speaking of pagan altars. This shows that the translators may have had a theology motive—they wanted to distinguish between Jewish and non-Jewish practices. Scholars disagree on the extent to which theological interpretations occur in the Septuagint, especially where the Greek translation diverges significantly from the Hebrew Bible. Some have argued that the translator’s primary purpose was to translate the Scriptures and make it accessible and intelligible for his audience, similar, perhaps, to how a modern-day Bible translator might approach his or her task. Others have maintained that the translator’s job was more theological or exegetically motivated, to reinterpret and actualize the Scriptures for his immediate community and with reference to contemporary circumstances and events. Why did the Septuagint translator render the Hebrew word “crush” by the Greek word “cleanse”? One scholar suggests that the translator is lessening the suffering of the Servant in order to avoid associating YHWH with a “demonic” action. Another theory is the translator did not know the meaning of this relatively rare word, and that “cleanse” is simply a mistranslation or an educated guess. A third possibility is that the translator was looking at a Hebrew text that presented a different word here. Perhaps you can see why Septuagint scholars love digging into this translation! 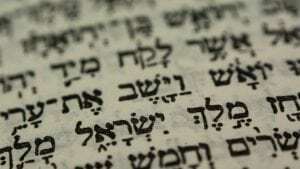 One issue for scholars is the fact that there are differences between the Septuagint and the Hebrew Bible in every book of the Old Testament. Most of these differences are negligible, but some are quite significant, involving entire paragraphs, if not chapters, of a particular biblical book. For instance, large differences are discernible in the genealogies in Genesis 5 and 11; there are significant pluses and minuses (phrases or verses that are added or omitted) in most of the books of the Old Testament, but especially in Numbers, Joshua, Samuel, and Kings. Major chronological and editorial structures are transposed in Samuel and Kings. The Septuagint Psalter adds an extra Psalm (Psalm 151), and the Septuagint copy of the book of Jeremiah is significantly shorter (1/8th) than the Hebrew. And lastly, the books of Daniel and Esther have significant sections added to the Greek versions. Determining the earliest or “original” text is a complex process fraught with challenges. Nevertheless, scholars engaged in textual criticism record and analyze the differences between Greek and Hebrew manuscripts (among others). They reckon these differences with the various stages of the Old Testament books in order to determine the reliability of and relationship between manuscripts. These studies have been incorporated into the critical editions of the Hebrew Bible (e.g., BHS, BHQ, HUBP) and Greek Bible (Cambridge or Göttingen Septuagint) and have sometimes influenced our modern translations. 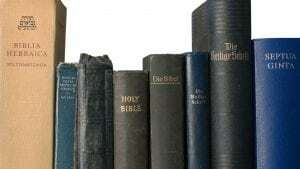 When modern translators work on an English translation these texts are used to determine the best translations of the Old Testament books. There is much work yet to be done. Karen Jobes and Moisés Silva, Invitation to the Septuagint (Grand Rapids: Baker Academic, 2015). It is accessible for the first-time student but is equally an excellent reference for pastors and scholars. Alternatively, a much shorter companion is Jenny Dine’s The Septuagint: Understanding the Bible and Its World. The most recent translation of the Septuagint is A New English Translation of the Septuagint, edited by Albert Pietersma and Benjamin Wright. Why Do Christians Care about Qumran and Dead Sea Scrolls?